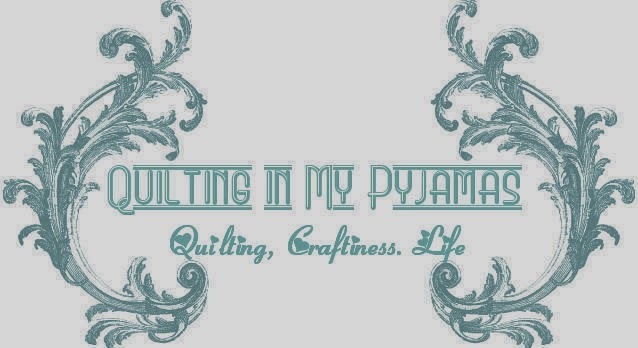 Quilting in My Pyjamas: Winner Winner! Thank you to everyone who has stopped by and commented on my last two posts about my first grown up girl foray into the world of free motion quilting. I loved reading each and every comment. So using a totally scientific method of picking a winner for my giveaway , I added up the total number of comments on both posts and then chucked the final number into Truly Random Number Generator. The winner was the 57th comment on both posts combined which was Kirsty who blogs over at Bonjour Quilts . Congratulations Kirsty . I'll be sending you an email soon. Haighs and some other goodies on the way to you my friend ! Oh my goodness, I'm fanning myself over here - so excited!! Yippee!! Oooh lucky Kristy. Haighs choccies, yum! Shay I'm sure I said that I was supposed to win it...not happy!!!!! At least it was Kirsty and I may get lucky and be offered one tiny piece! FAL Quarter 2- Results !